For the first time in Texas, charter schools will receive funding from the state to pay for leasing and maintaining buildings and facilities. That has charter advocates excited — and their critics furious. 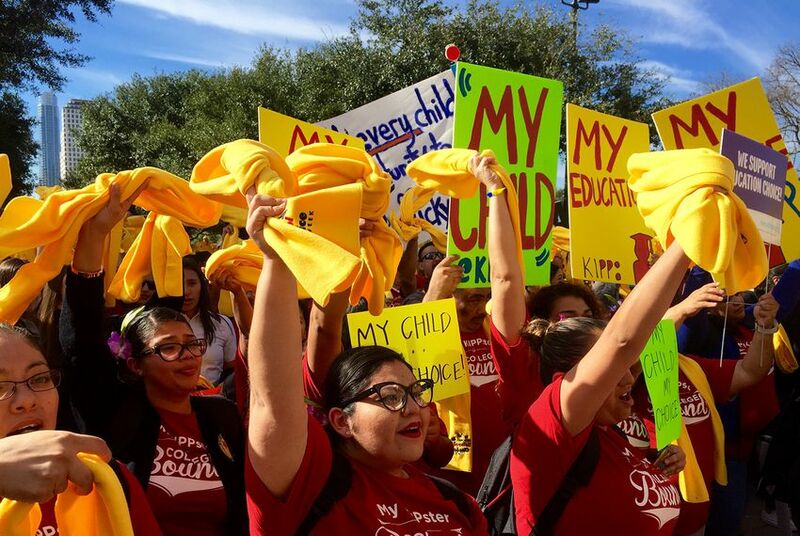 For the first time in Texas, public charter schools will receive state funding to pay for leasing and maintaining buildings and facilities — expanding their access to the state's limited money for public schools. In 2012, the Texas Charter School Association sued the state for facilities funding, arguing their schools were being funded inequitably by the state. The $60 million allotted through HB 21 will help charters that have not been able to build on existing property to serve more students, said David Dunn, the association's executive director. "This is a good first step. It's a great start toward covering the gap in funding, but it doesn't get us the whole way," he said. "It's still not enough in the long run," YES Prep CEO Mark DiBella said. "It won't be enough to cover maintenance alone. It certainly won't be enough to cover any new buildings." The same school finance law also provided a $60 million boost for one of the state facilities funding programs passed in the 1990s, which will help some traditional school districts repay their bonds. But the majority of Texas' fastest-growing school districts receive no state support for facilities and will not see any through this law, said Guy Sconzo, executive director of the Fast Growth Schools Coalition, which advocates for such districts. Sconzo said he was disappointed that the Legislature granted 5 million students in school districts the same total amount for facilities as the 300,000 in charter schools. "There's something grossly inequitable about that," he said. Mike Feinberg, founder of KIPP charter schools, said the $60 million allotted to charters in the law would not have been enough to fund all the traditional public schools that need it. "This is not game-changing money at the end of the day" for fast-growing school districts, he said. "It's hard to rationalize how $60 million would have made a big difference when what they needed is in the billions." "We'll go back to the drawing board and figure out how we continue to advocate for more facilities funding," DiBella said. "Across the board, [the school finance system] is not equitable."